Ocala, Florida — Post-traumatic stress disorder is a serious condition that can be very debilitating and even result in the death of the individual afflicted. 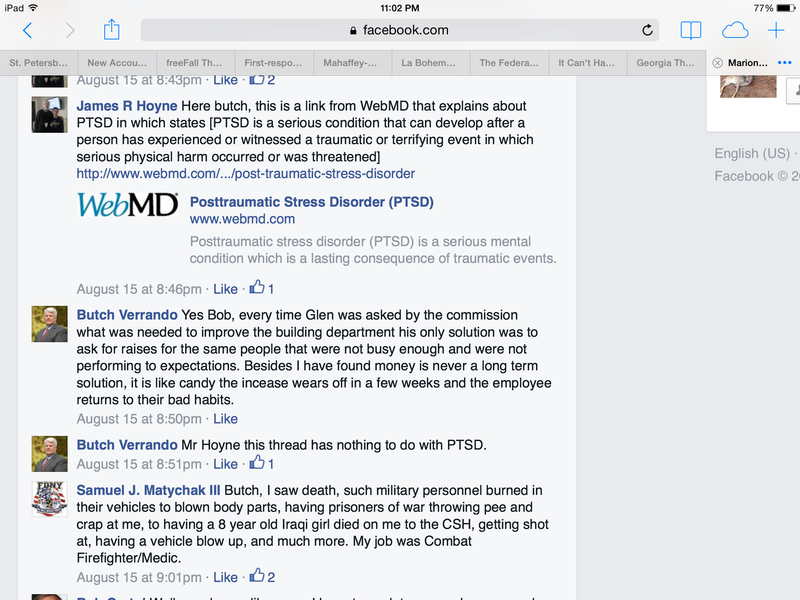 This condition not only disproportionally affects soldiers, but also firefighters, paramedics, EMTs, and law enforcement officers. 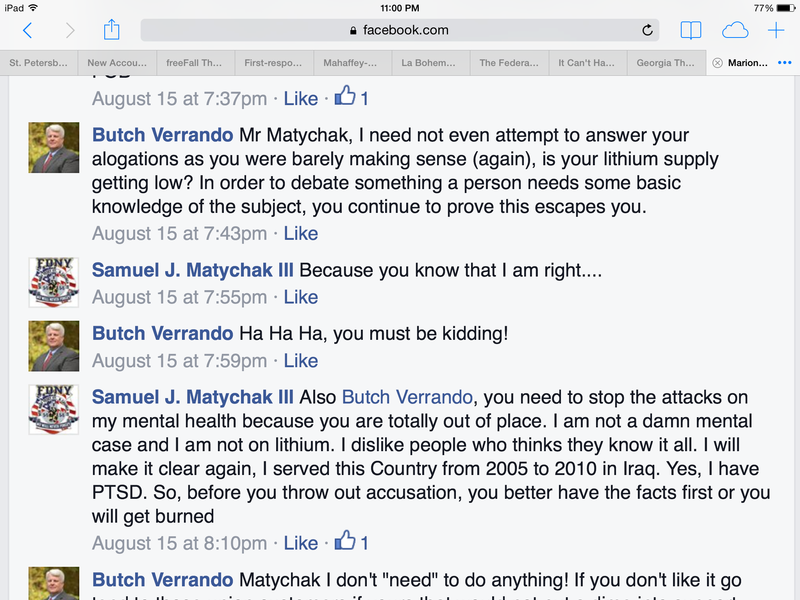 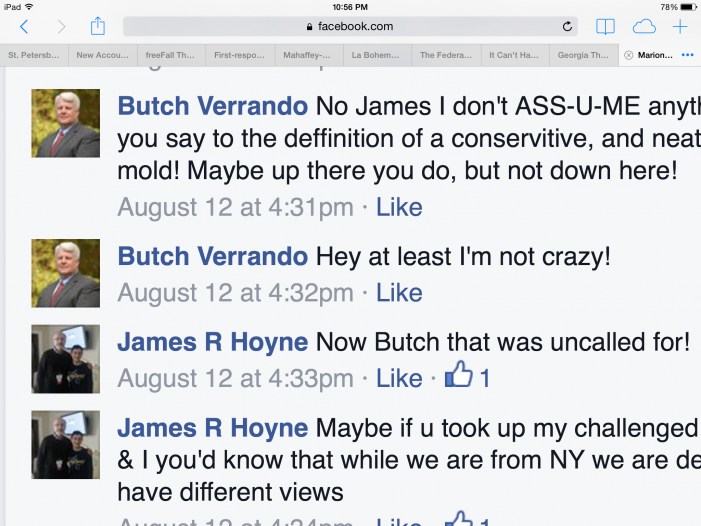 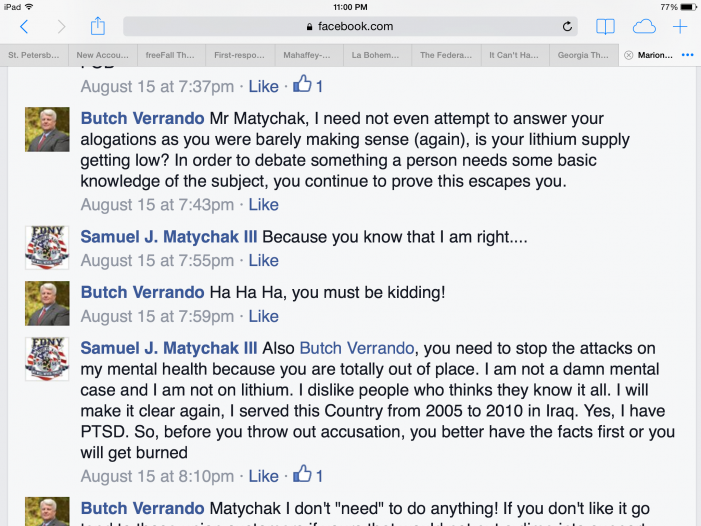 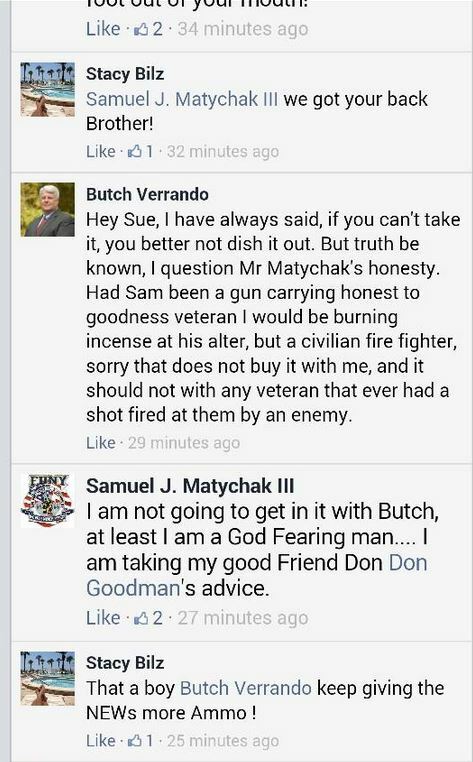 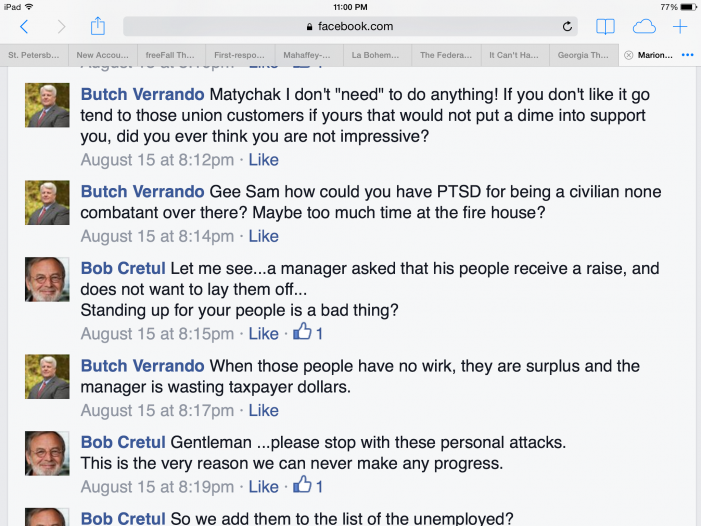 Marcel “Butch” Verrando, who currently serves the citizens of Marion County as a member of the Fire Advisory Board (appointment by Commissioner Stan McClain) and a former candidate for Marion County Commissioner, attacked a U.S. military firefighter veteran and former volunteer firefighter for Marion County Fire Rescue for suffering from post-traumatic stress disorder (PTSD) on an online forum. 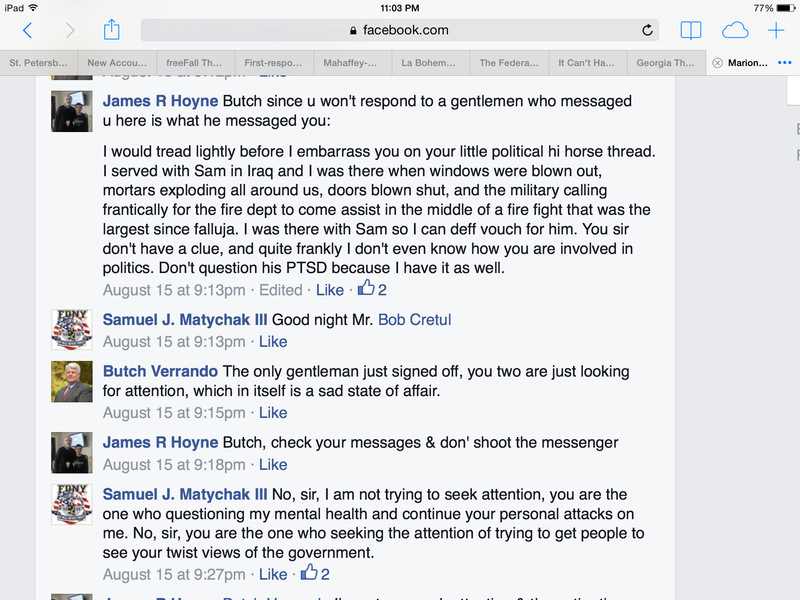 Matychak did what no veteran should have to do by detailing in part what his job was in the military and what he saw. 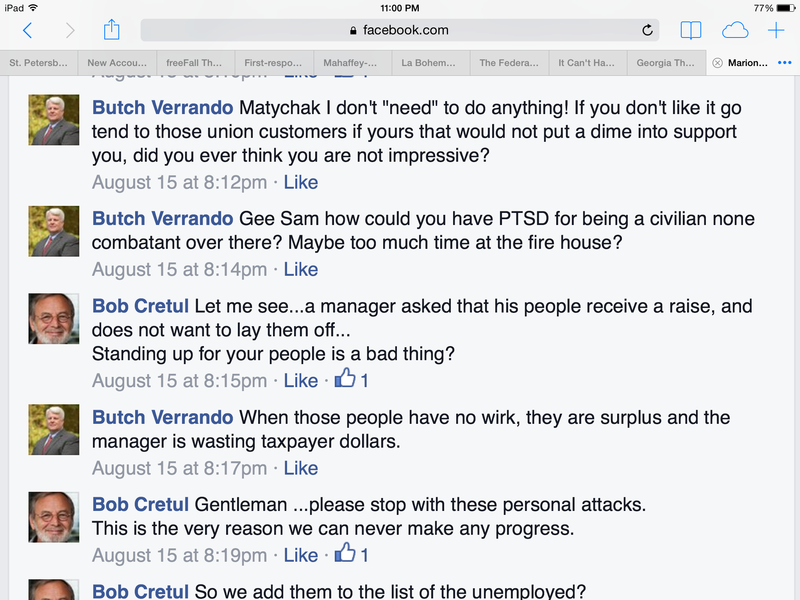 “I refuse to believe these abhorrent statements made by Fire Advisory Board member Marcel “Butch” Verrando represent the values of this community. 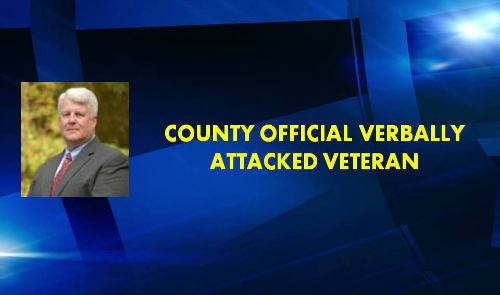 Veterans and first responders should never be marginalized nor mocked for the medical conditions that arise from their service to this country and their communities,” said O’Reilly. 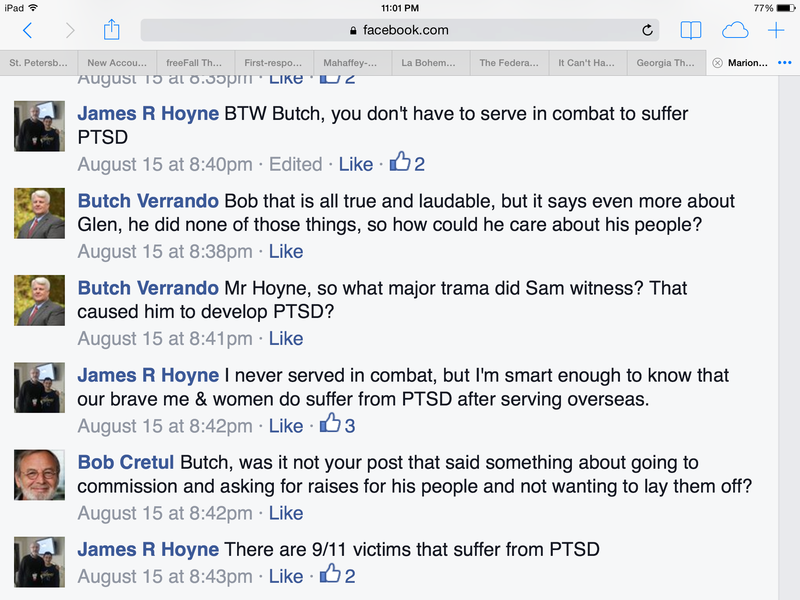 Screenshot submitted on September 9, 2014.